Hugh Brantley is a founding trustee of South Carolina Christian Foundation and the first person to serve as its president. He spent is career is the banking industry serving First Federal of Spartanburg until it was purchased by BB&T. Always active in the ministry community, Hugh has been a volunteer, a mentor, and a friend to local ministries and their leaders. Hugh serves on the Board of Upward Sports and Brown Roof Thrift Stores. He and his wife, Claudia, live in Spartanburg and are active members of First Baptist Church. Together they have 3 children and 9 grandchildren. 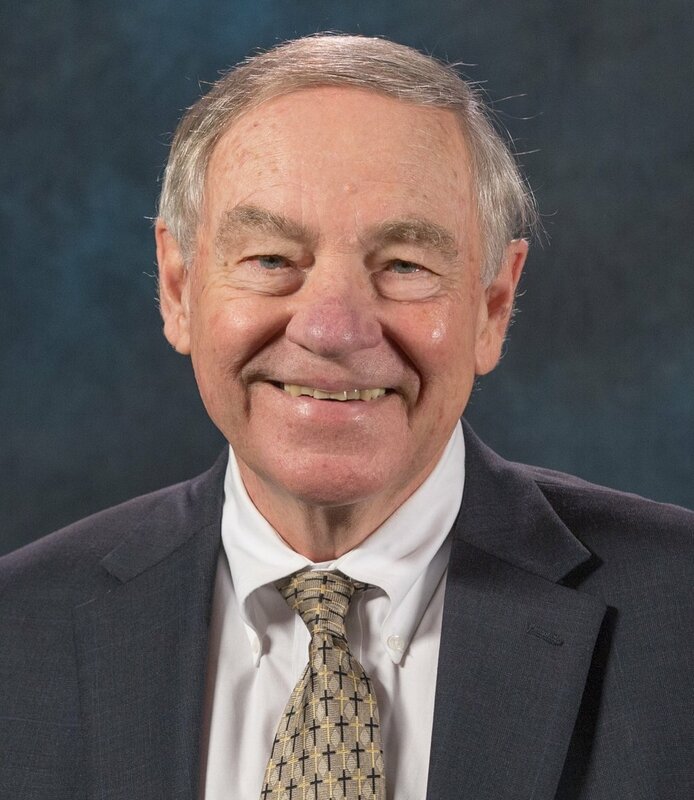 Bob Caldwell, Sr. serves as the Chairman of the Board to SCCF. He is Chairman and past President of Grace Management Group, a family held group of fragrance, gift and fashion companies based in Spartanburg, SC. Bob serves on the boards of several ministries such as Rice Bowls, Jumpstart and Upward Sports. Bob is a graduate of The Citadel and served with 5th Special Forces Group in Vietnam. He and his wife, Sylvia, live in Spartanburg, SC and are active members at Hope Point Church. The Caldwells have 4 grown children and 19 grandchildren. Mike is a former senior partner with the global accounting and advisory firm of Ernst & Young LLP (“EY”) and has over 30 years of executive leadership experience. Mike currently serves as Executive Vice President with Battlefield Leadership LLC. He also provides leadership consulting and executive coaching services to leading organizations and professionals. Mike is a licensed Certified Public Accountant and graduated with honors from the University of South Carolina. Mike and his wife Cindy have three grown children and two daughters-in-law. They reside in Greenville, SC and are active in several local community, charitable and ministry activities. Mike serves as an elder at Grace Church in Greenville. Robert A. "Bobby" Dobson, III is the President and Chairman of Dobson Ministries, Inc. He graduated from the University of South Carolina with degrees in Law and Accounting. In his career her was both a Certified Public Accountant and a Tax Attorney. Mr. Dobson served as Corporate Counsel and major shareholder of Baby Superstore, INc. He serves as a Director at Iso Poly Films, Inc. and is a Member of the Advisory Board at Azalea Capital, LLC. He has been and remains involved with numerous local, national, and international ministries. He and his wife, Beth, live in Greenville, SC. Ben Hines is the President and Co-Founder of Spencer/Hines Properties, one of the largest and oldest commercial real estate companies in the Upstate of South Carolina. Hines previously served on SCCF's Spartanburg Leadership Council and has been involved with numerous local boards and organizations such as Child Evangelism Fellowship, United Way, Spartanburg Regional Healthcare System, and Spartanburg County Community Development Board. He and Madonna, his wife of 33 years have three grown children and a son-in-law.